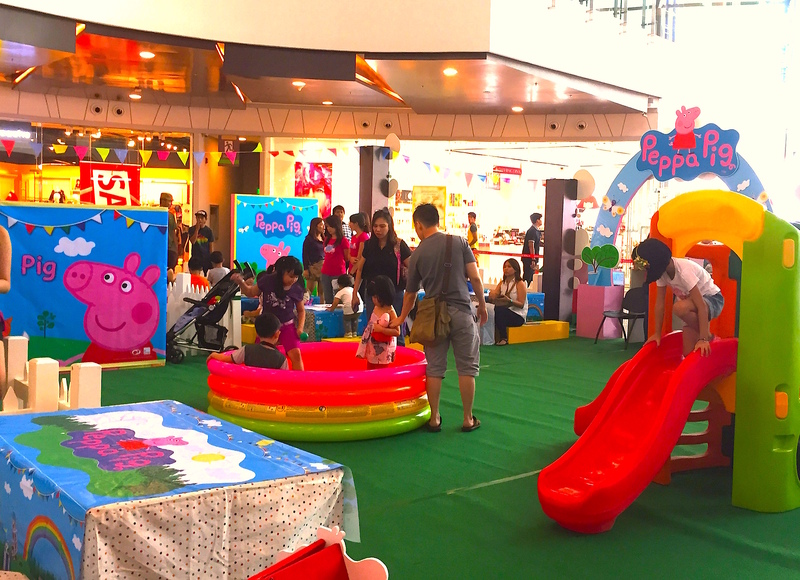 Even mummies and daddies love Peppa Pig, and all cannot wait to meet her! 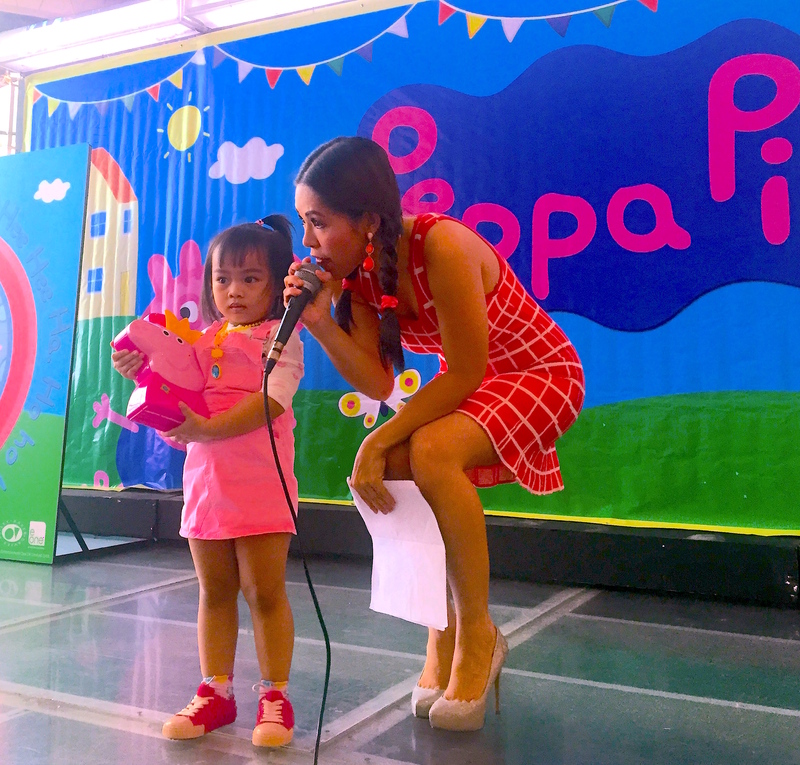 Welcome to the first day of the Peppa Pig Meet and Greet Party! 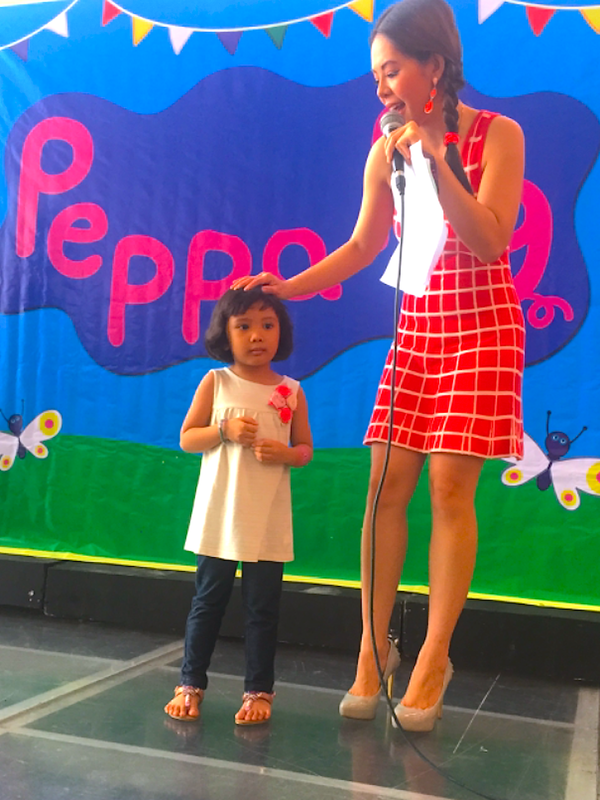 Such a fun and amazing event for the entire family! 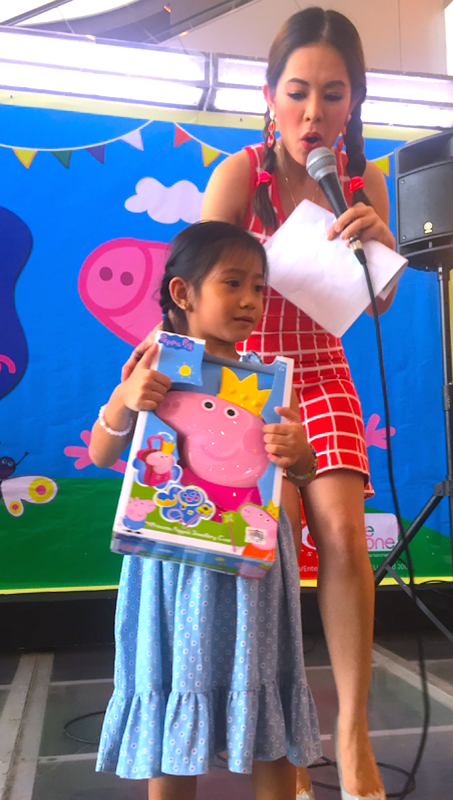 Look at that! 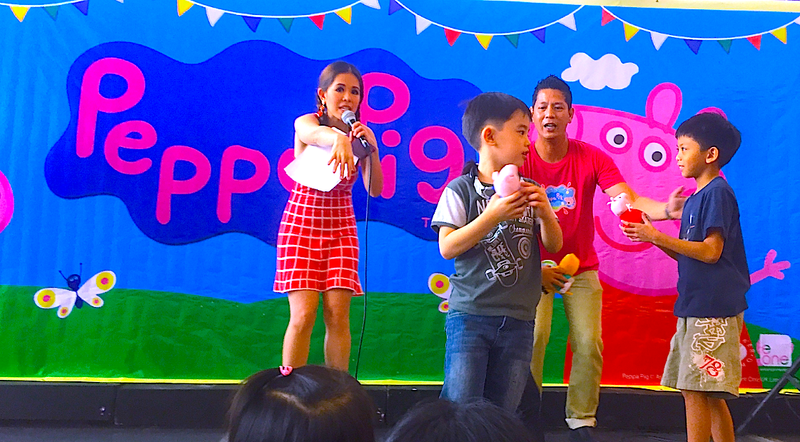 Peppa’s got millions of fans all over the world, especially here too! 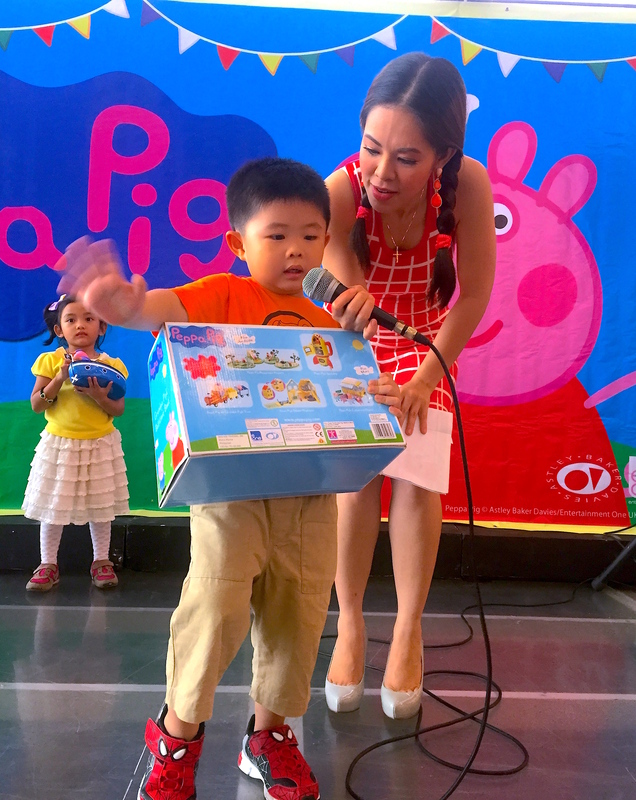 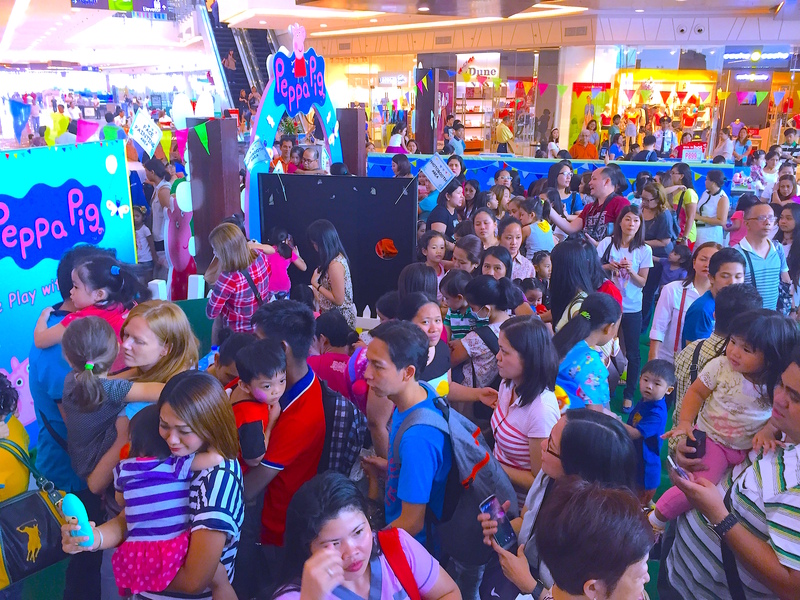 Marylaine Louise Viernes is extremely honored to be the event host for this year’s Peppa Pig Grand Meet & Greet party held at the Robinsons magnolia mall, in partnership with Toys R Us, the world’s greatest toy store! 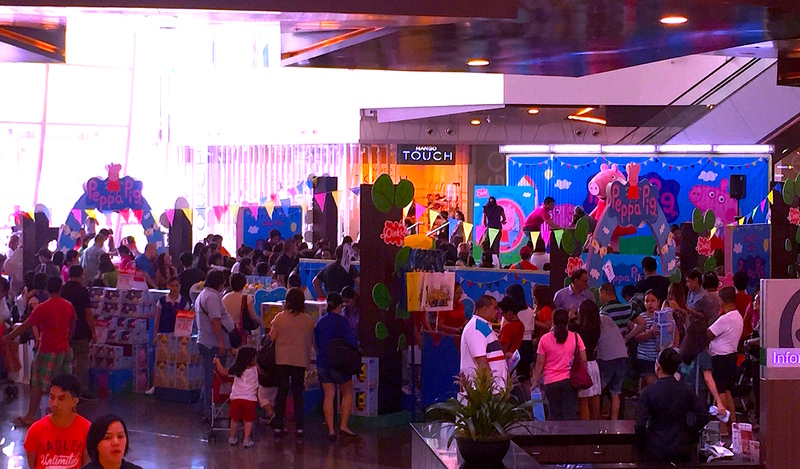 The Fun Meet & Greet Playground above… Yes this place didn’t just have the exciting and well-attended meet and greet, but we also had tons of freebies for everybody such as tattoo art and face painting, jungle gym, fun photo booth “The Peppa Peek-a-Boo Booth,” and of course arts and crafts, sand building just like what Peppa and George love doing! 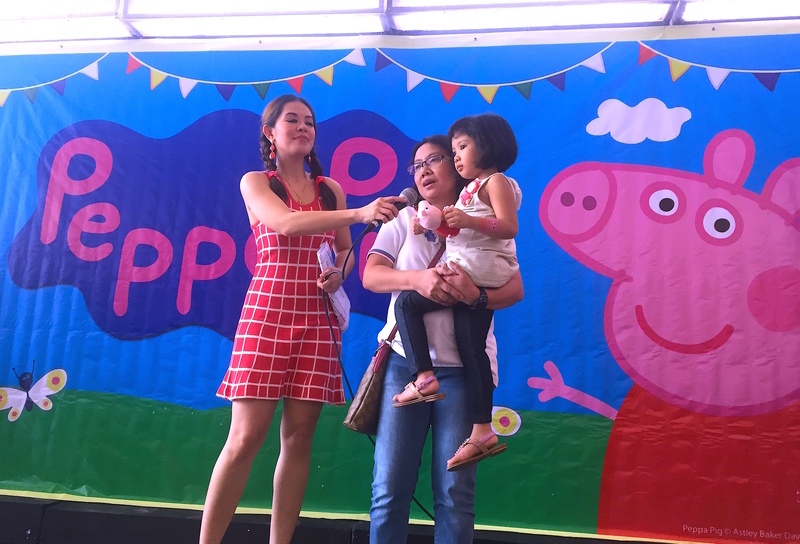 Mary played with the many, many fans of Peppa as they awaited her grand pink entrance! 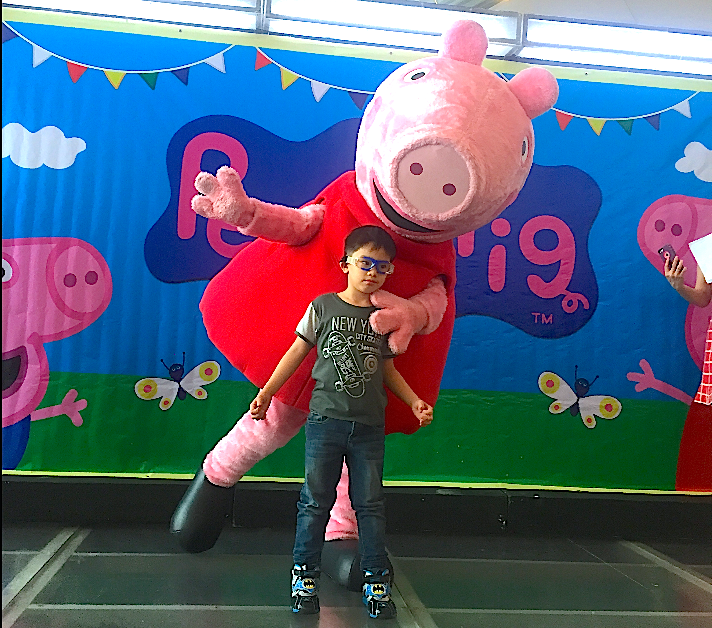 Excited shrieks and claps met Peppa, as they lined up and gamely posed with their adorable pink piggy friend while saying Oink oink! 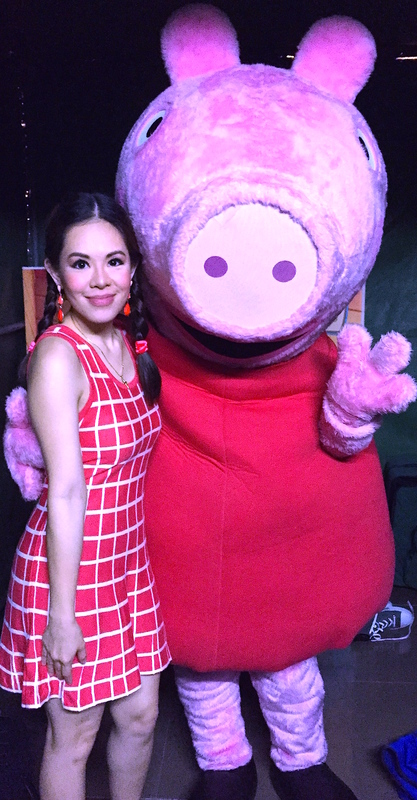 And of course, Mary had a photo with Peppa Pig too, backstage!